Arribas P, Abellán P, Velasco J & Millán A (2015) Limnetica 34(2): 484-494. 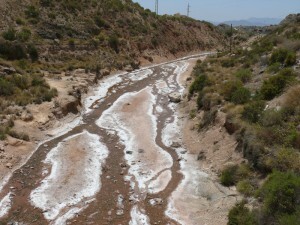 Among the variety of Mediterranean aquatic habitats, inland saline ecosystems are considered particularly rare and have been much less studied than other freshwater systems. Previous research has emphasised the ecological and evolutionary singularity of these environments and their great conservation value, as they are extremely endangered and also include a highly specialised biota with a high degree of endemism and genetic diversity. However, until recently, our knowledge about the biogeographical patterns and evolutionary processes of the lineages inhabiting these particular systems has been very sparse. This paper is a compilation and summary of the principal results obtained from various recent studies that were developed in the framework of the PhD thesis of the first author and focused on the water beetle diversity of the Mediterranean inland saline waters. The evolution of salinity tolerance, the main factors driving diversification on saline lineages and the application of all this information to provide relevant data for the conservation of aquatic saline biodiversity are addressed. Finally, further objectives are identified to progress in our understanding and the conservation of Mediterranean saline biodiversity.